As Event Education Coordinator for canfitpro from 2014 to 2017, Joy was responsible for developing the curriculum for professional and consumer-focused fitness events nationwide. In her current role with Lebert Fitness, Joy continues to foster partnerships, monitor trends, and communicate with the fitness industry at large. 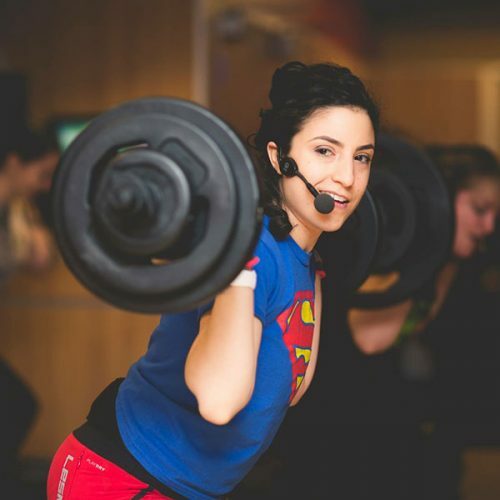 Affectionately referred to by her colleagues as “Mighty Mouse”, Joy is a certified PT and fitness instructor, teaching LES MILLS BODYPUMP®, LES MILLS CX WORX®, LES MILLS GRIT® and indoor cycling classes to hundreds of fitness enthusiasts every week. In 2017, she was part of the elite launch team for LES MILLS GRIT® at GoodLife Fitness in Canada. Joy frequently travels to fitness events worldwide to research and experience the latest trends in the fitness industry, and she prides herself on her innate ability to find or create a gym wherever she goes.